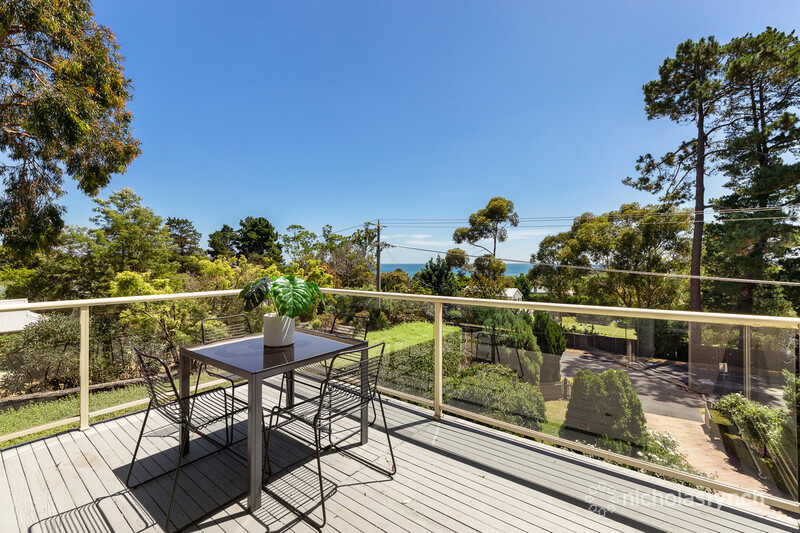 A short walk to stunning South Beach and Mount Martha’s village shops and cafes, this north-facing residence captures bay and city skyline views. 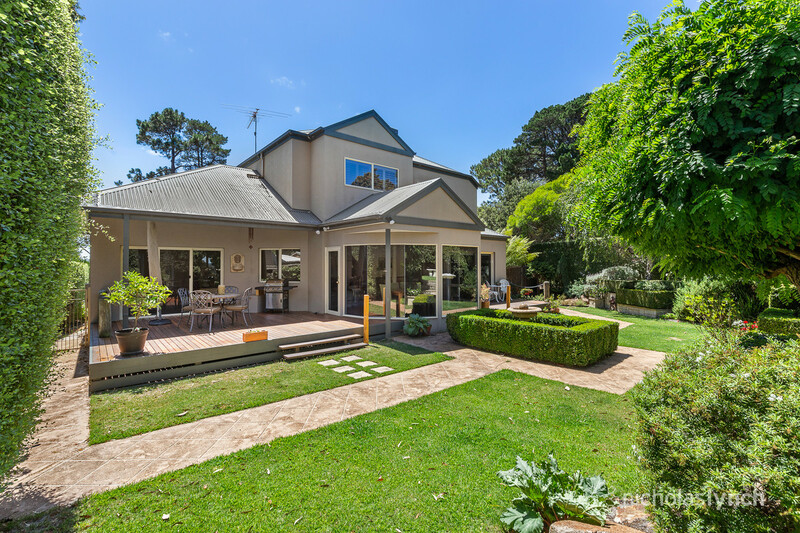 Set amongst immaculate, landscaped gardens on a quarter of an acre (approx. 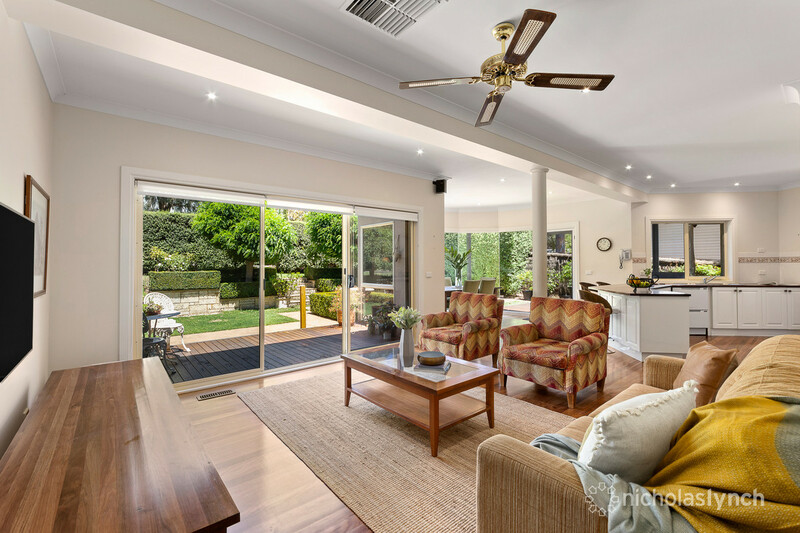 ), the home showcases high ceilings, timber floors and plantation shutters. 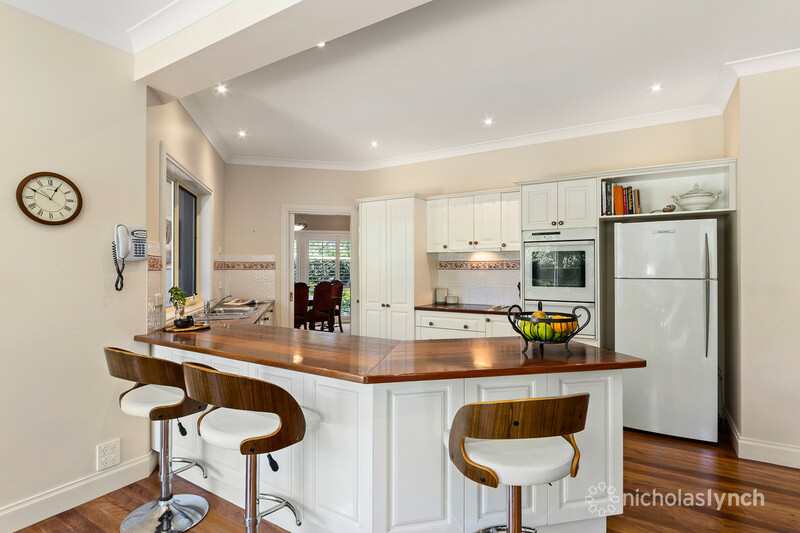 The kitchen contains an electric oven/cooktop, double-drawer dishwasher and timber benchtops. 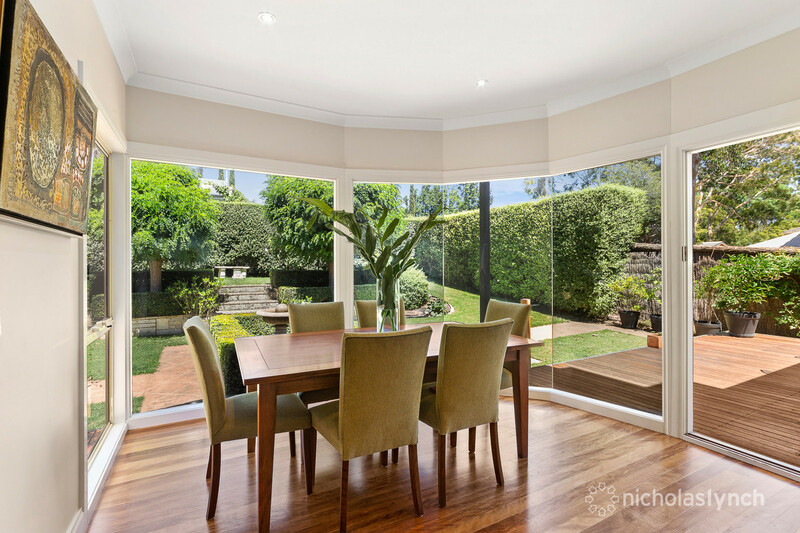 Ideal for outdoor living, the formal dining room and family/meals area flow onto alfresco decks and a tranquil yard surrounded by privacy hedges. 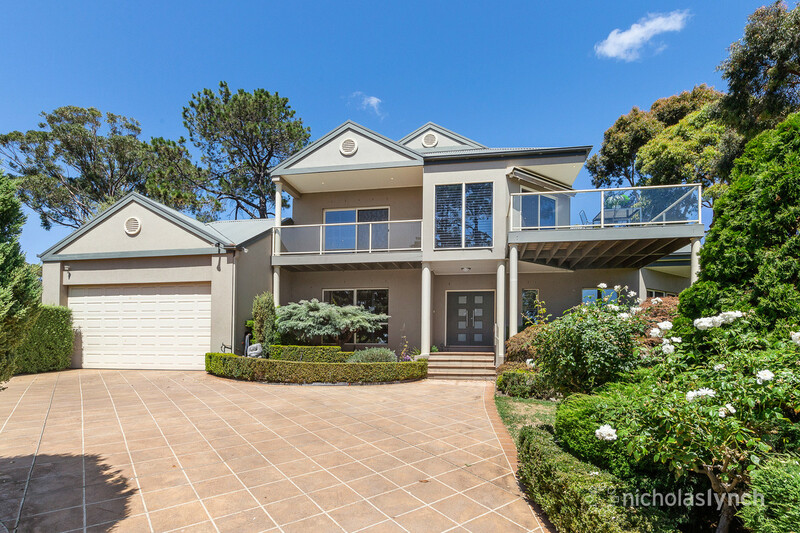 There is a second living area upstairs plus two balconies which enjoy panoramic views. 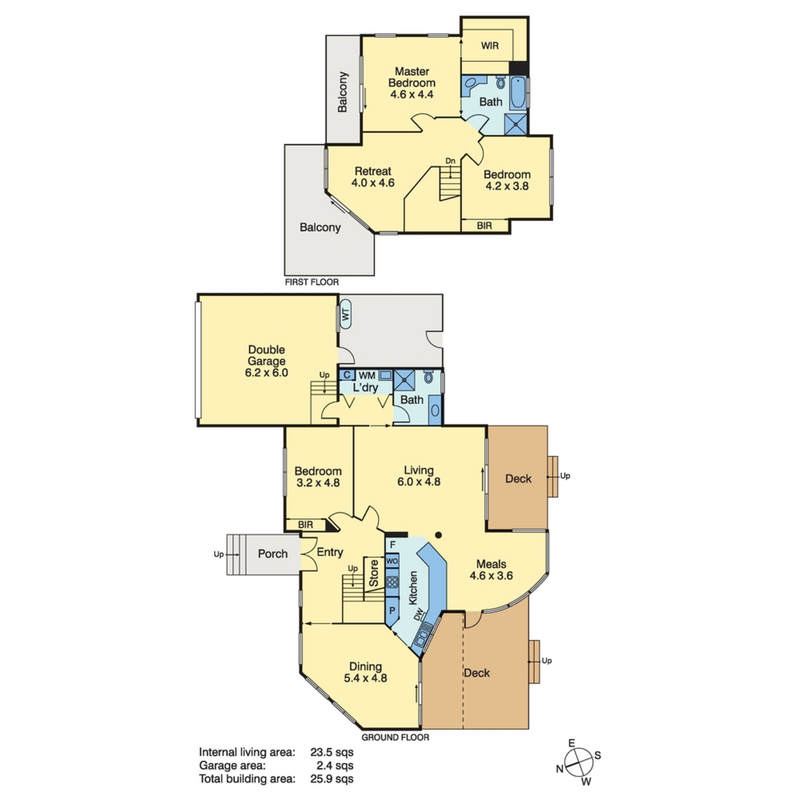 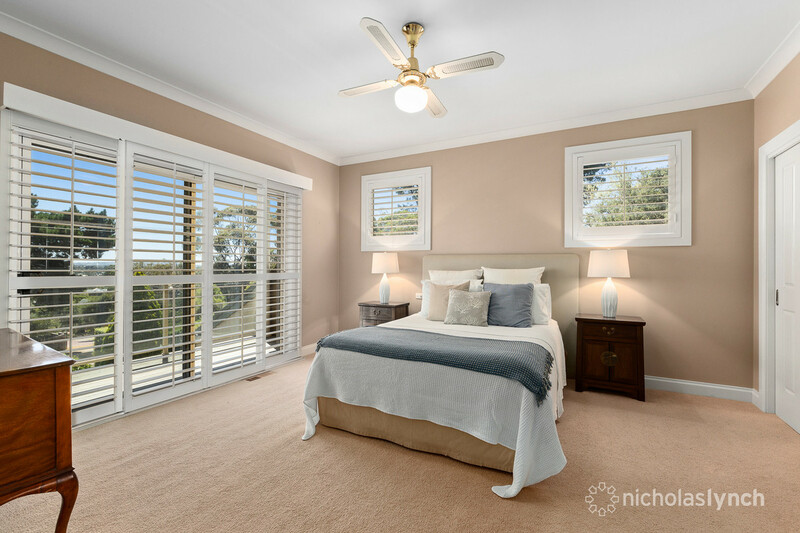 All three bedrooms have ceiling fans including the master with a walk-in-robe and two-way en suite. 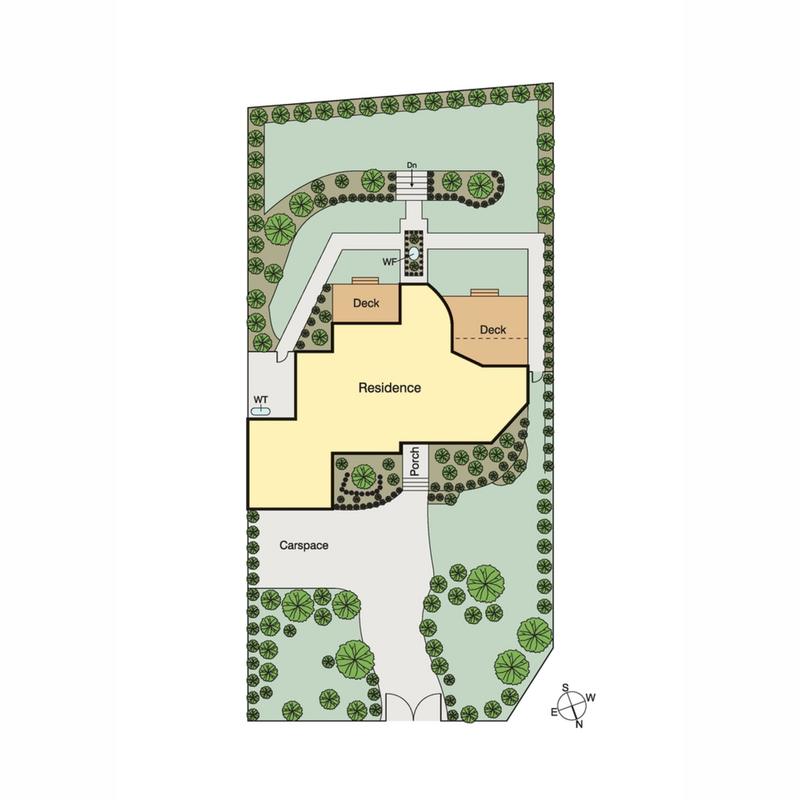 Other additions include a second bathroom, European laundry, ducted vacuum, evaporative cooling, gas ducted heating, double garage and visitor parking. 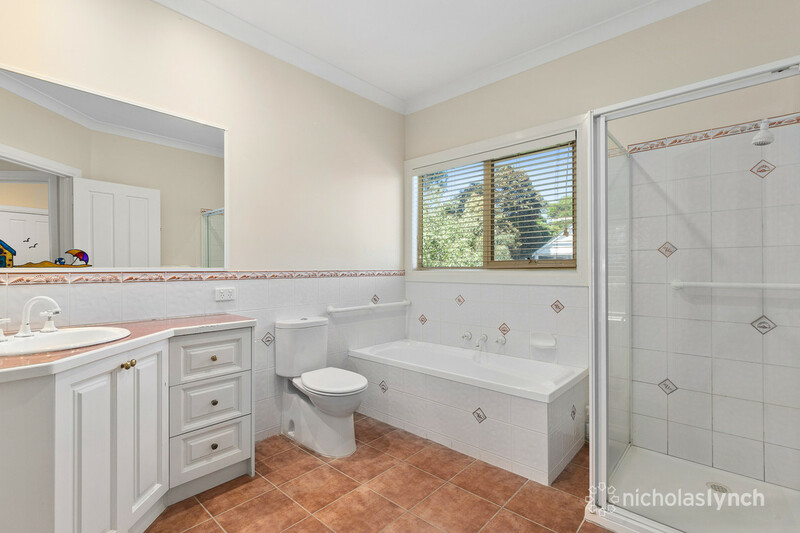 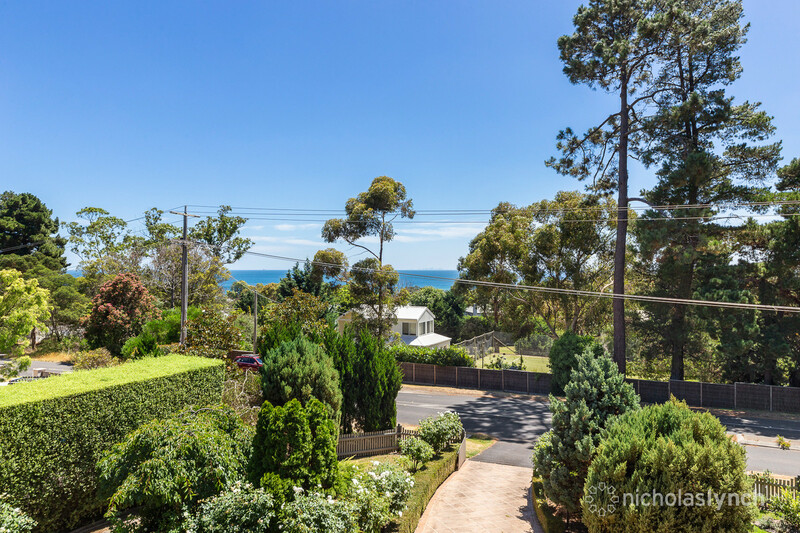 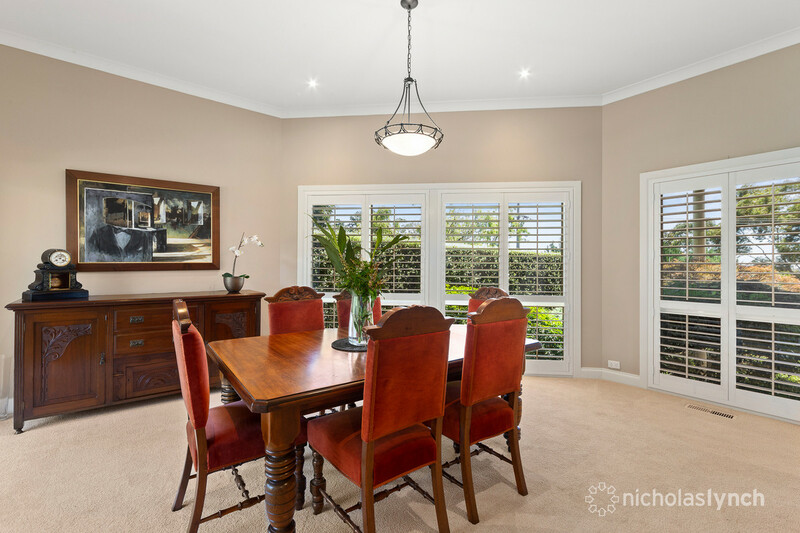 This coastal haven offers convenient living near the golf course, bowls club, Mount Martha Primary School and Balcombe Grammar.